In addition to Kaingo Camp, Shenton Safaris operate Mwamba Bush Camp, providing an opportunity to explore the park's heartland. 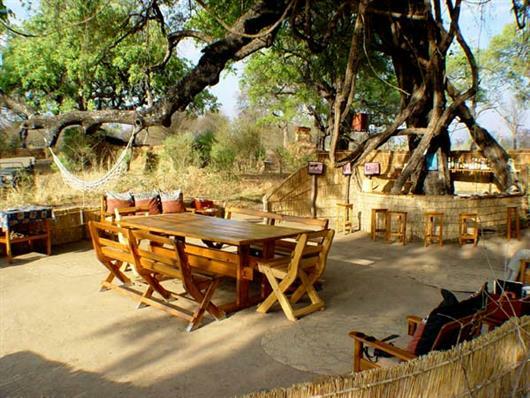 Wonderfully remote and peaceful, the site is a relaxed 3-hour bushwalk or 20 minute drive from Kaingo. 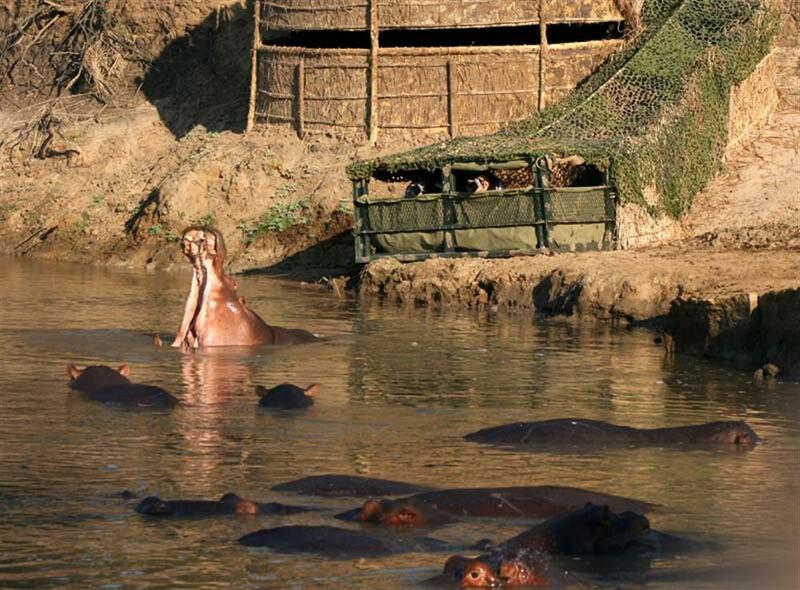 Both walking safaris, and game drives (day and night) are offered from Mwamba. 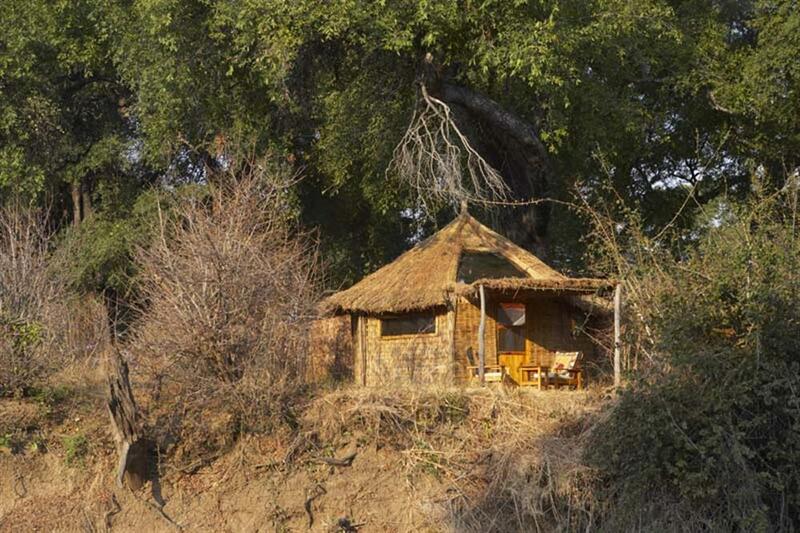 Set on the banks of the Mwamba River, a tributary of the Luangwa, the camp is situated under huge evergreen ebony trees, enjoying views of perennial waterholes, both of which have hides perched over them for fantastic photographic opportunities or simply quiet times viewing the animals. 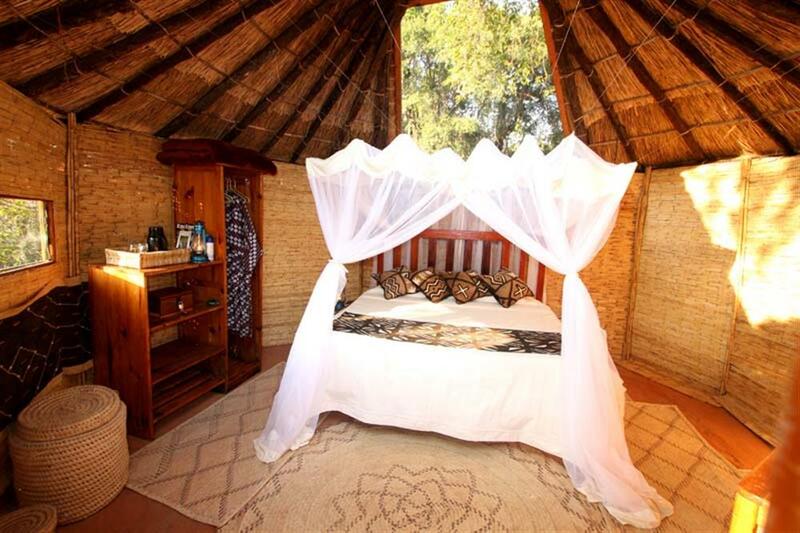 Mwamba takes only 6 guests in 1 king, 1 twin and 1 honeymoon chalet. The reed and thatch chalets are uniquely designed with two soaring skylights (protected by mosquito gauze) set into the roof allowing you to experience sleeping under the stars. These three bungalows have huge en suite bathrooms with flush toilets and hot showers. The lighting is all solar powered and the complete absence of generator noise means nothing interferes with the morning chorus or the midnight howls of the hyena. 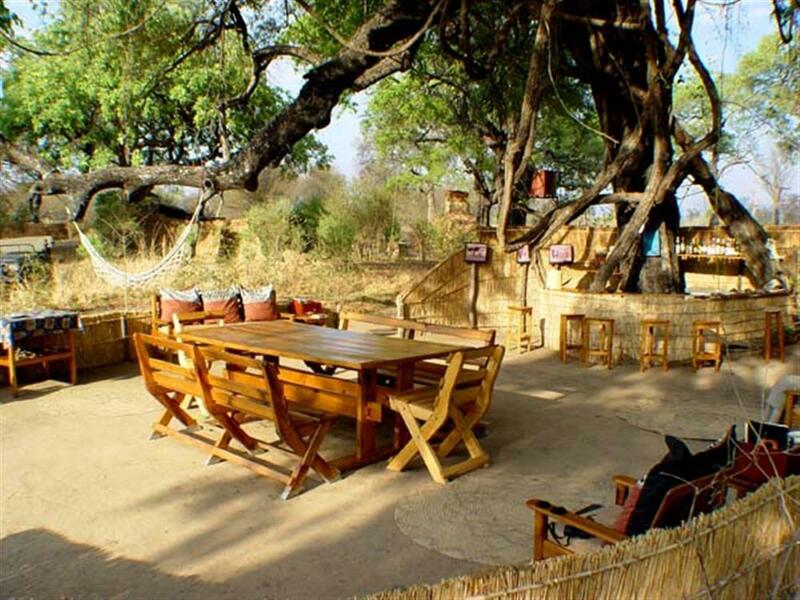 Meals are of the same high standard as Kaingo, and the bush-style dining and bar area is set under ebony trees entwined with python vines. A spectacular sundowner spot on top of a large termite mound and a glowing campfire under the night sky completes the camp's friendly and personal atmosphere. The game around Mwamba is excellent; large herds of buffalo, zebra, eland and in particular Cookson's wildebeest (one of the last herds in the SLNP are found on the plains and in the Mopane/Crocodile bark woodlands close to camp). They are followed by the "Mwamba" lion pride. Fantastic leopard sightings are also common due to the thick riverine bush along the Mwamba river, attracted by the large numbers of impala and puku in the open glades around camp. Elephants use the Mwamba's waterholes regularly and there is a family of elephants who visit the waterhole next to the honeymoon chalet to drink and mud themselves in the afternoons. There are also two young orphan bulls who visit camp. Mwamba is an excellent walking area. The land varies tremendously from wide open plains such as Lion Plain and Eland Plain, interspersed by shady Mopane/crocodile bark woodland with short grass (interspersed with waterholes and lagoons), and bordered by Combretum thickets along the Mwamba river.